Composed by McCorkle, Dennis F. Contemporary Christian, Jewish, Broadway, Musicals, Rock. 90 pages. Published by DF McCorkle Music and eBook Publications (S0.39507). 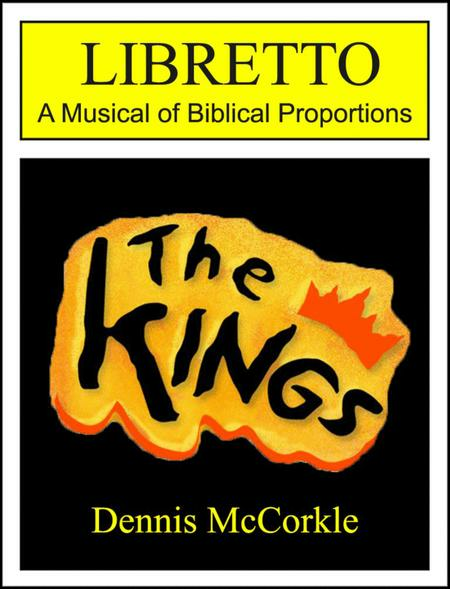 Contemporary pop rock musical by Dennis McCorkle.SUMMARYSaul, a charismatic individual from a prominent family, would become the first king over the nation of Israel. Lacking a relationship with God and insecure of his own worth and ability to govern, he consistently bends to the whims of the people and his troops. Plagued with bouts of depression and manic behavior, Saul consistently disregards direction from his mentor, Samuel the Prophet; eventually leading to his downfall, removal as king, and ultimate suicide.Conversely David, from humble and modest beginnings as a shepherd, rises to become one of the most revered and powerful rulers in Hebrew literature uniting the twelve families of Israel and establishing a central capital in Jerusalem, Israel. Although making many inappropriate choices along the way, his ongoing faith and trust in his God enables him to weather the consequences of his own actions and the trials that were placed before him.